Do your staff use access equipment? IPAF (the Internationanl Powered Access Federation) says that anyone working in boom lifts and other MEWPs, whether self-propelled or vehicle mounts, should wear a fully body harness with an adjustable lanyard set as short as is practical. Liftright Access can provide your staff with single point safety harnesses with quick connect buckles. 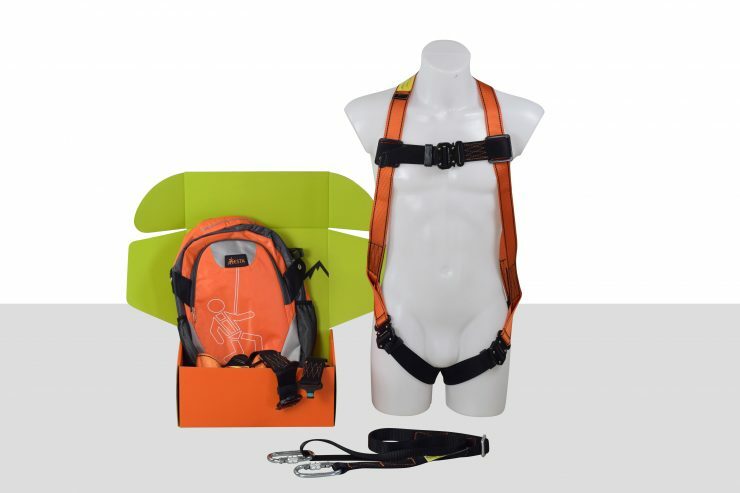 These harnesses are suitable for general tradesmen, construction workers, roofing, vertical climbing and access equipment. These simple and effective fall arrest harnesses provide total safety compliance. Single Point Harness, 2m adjustable webbing lanyard, 2 x screwgate carabier and a useful back-pack style storage bag. For more information on these harnesses, operator training or access equipment hire, call our friendly team on 01234 740648.